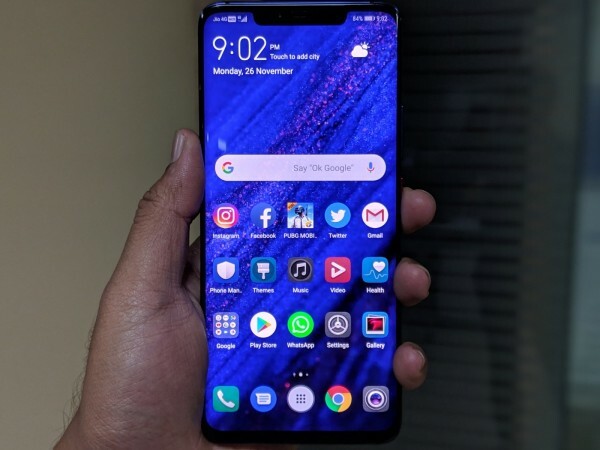 Huawei Mate 20 Pro will be available in India once again, but here's an important software update notification owners shouldn't miss. Huawei launched first of its Mate smartphone in India, the Mate 20 Pro, challenging the likes of iPhone XS-series, Samsung Galaxy Note 9 and Galaxy S9-series. While there was a lot of scepticism around the Mate 20 Pro's success in the country, Huawei seemed to have shut all critics with its successful opening sale. Huawei Mate 20 Pro was sold out on day one of its first sale exclusively on Amazon India. Even as the brand is working to bring enough handsets for the second round of sale, those who bought the phone early in India have some great news. Android Authority reported that Huawei Mate 20 Pro has received a significant software update that enhances camera, security and more. The update version 9.0.0.142 is the second big update the Mate 20 Pro has received in over a month. The software weighs around 520MB, requiring users to connect to Wi-Fi before downloading and installing it. The huge size of the software update suggests something crucial is in the offing, which is accurate looking at the changelog. We haven't received the update on our Huawei Mate 20 Pro yet, which means this is a phased rollout. When the OTA update arrives, users will be notified to download it and users must not wait. Huawei Mate 20 Pro's latest software update brings onboard several improvements. The face unlock performance in "certain scenarios" has been improved on the Mate 20 Pro and the in-display fingerprint scanner gets faster unlock speed. Huawei is also improving the Mate 20 Pro's best feature, its camera, by optimising it for better photo quality. The changelog doesn't specify in what ways the camera is improved with the latest update, but we'll be able to confirm it once our device is updated to version 9.0.0.142. There are other improvements in the latest update, including improved positioning in Google Maps for better navigation, Google security patches for November and a bug fix for Google Messages app not displaying a notification batch. Huawei Mate 20 Pro is priced at Rs 69,990 in India. For the price, it offers features like triple rear cameras, impressive 4,200mAh battery with SuperCharge and reverse wireless charging, and performance-driven Kirin 980 chipset, all packed in an elegant glass package. For those who are looking for a no-compromise flagship, the Mate 20 Pro might just be the one.